Small Sized Citrine Point, many facets, polished on all sides including the bottom, clear as glass. 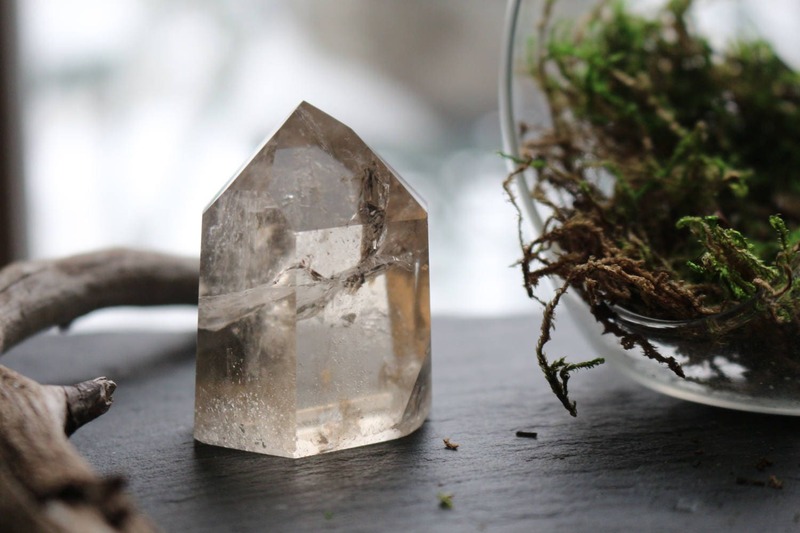 The beautiful yellow tint of this crystal accentuates the many rainbows hidden within. Due to the irregular shape of this piece, dimensions are approximate; however, the weight is precise. Although Etsy allows five (5) photos, feel free to visit our website (link below) for additional pictures, or you can always reach out to me if you have any questions. 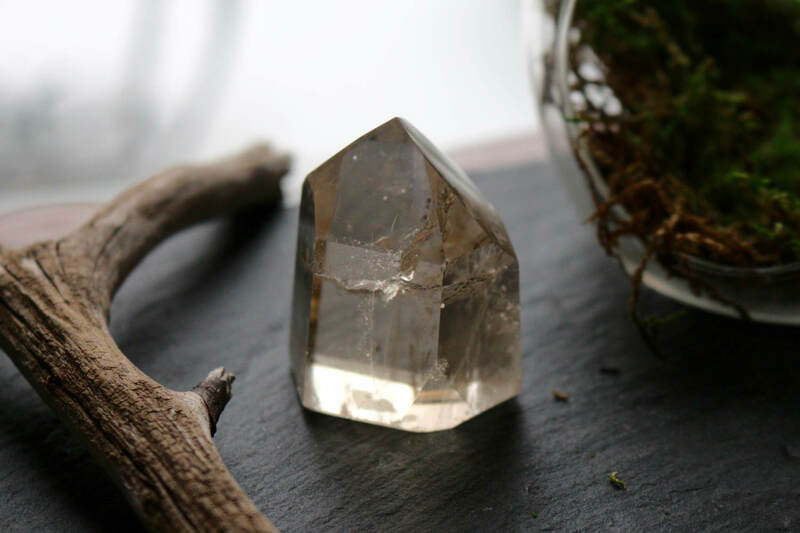 Quartz based crystals, in particular, have naturally occurring facets at their tips. There are usually six sides, which also equate to the six chakras from the base to the third eye, with the termination point representing the crown chakra. 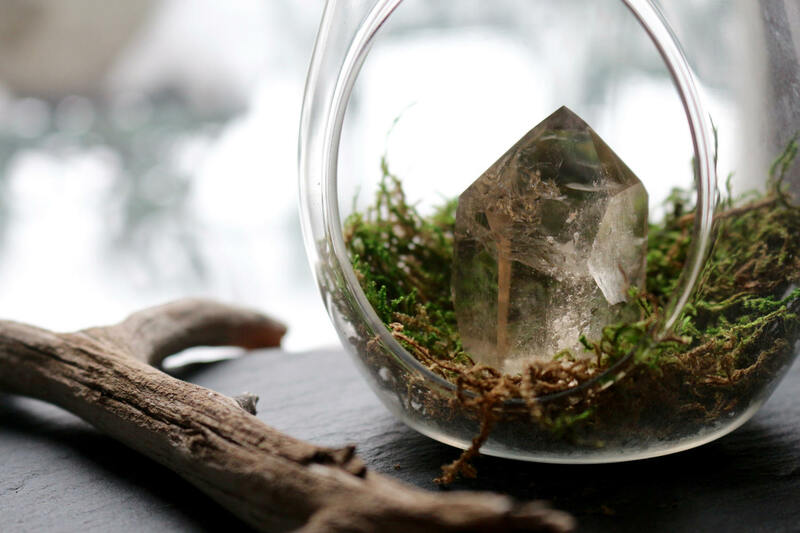 How a crystal grows is significant in crystal lore. 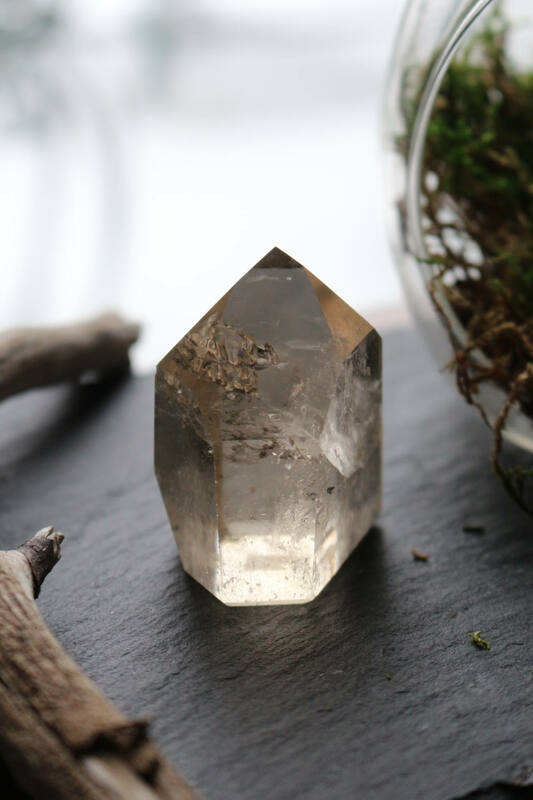 Quartz crystals that are cloudy at the base and become clearer as they reach the tip represent the potential for spiritual growth. 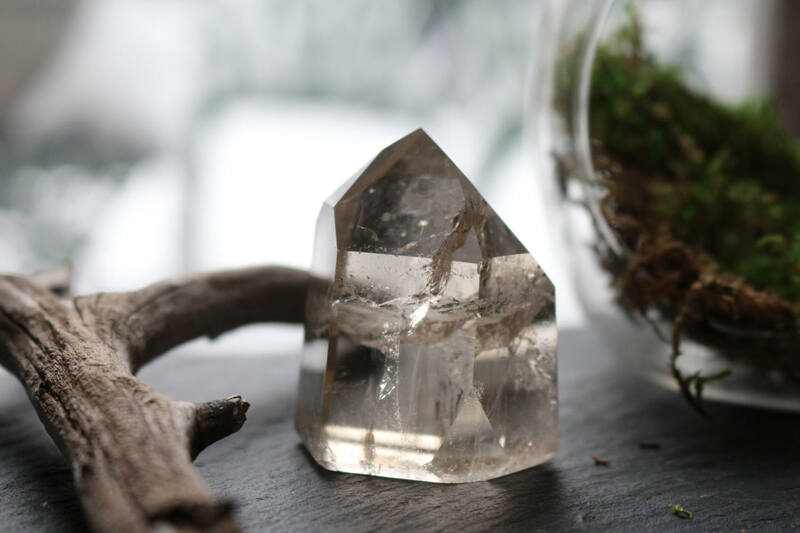 Quartz crystals that are entirely transparent are symbols of alignment with cosmic harmony. A crystal pillar or large point with occlusions or flaws can lead to a traumatic or wounding period in life that needs to be cleared away for the consciousness to evolve. Citrine is a stone of light and happiness. It does not hold any negative energy and therefore never needs to be cleansed. It brings clarity to those who wear it (as jewelry or carrying in your pant pocket) and helps to manifest anything you want to bring into your life. It activates your imagination, bringing more creative visions to a clearer mind and a more positive outlook on life. Powered by the Sun, Citrine warms, cleanses and energizes the body, energizing and strengthening the solar plexus.